Does fire influence the landscape-scale distribution of an invasive mesopredator? Authors: Catherine J Payne, Euan G Ritchie, Luke T Kelly and Dale G Nimmo. Predation and fire shape the structure and function of ecosystems globally. However, studies exploring interactions between these two processes are rare, especially at large spatial scales. This knowledge gap is significant not only for ecological theory, but also in an applied context, because it limits the ability of landscape managers to predict the outcomes of manipulating fire and predators. 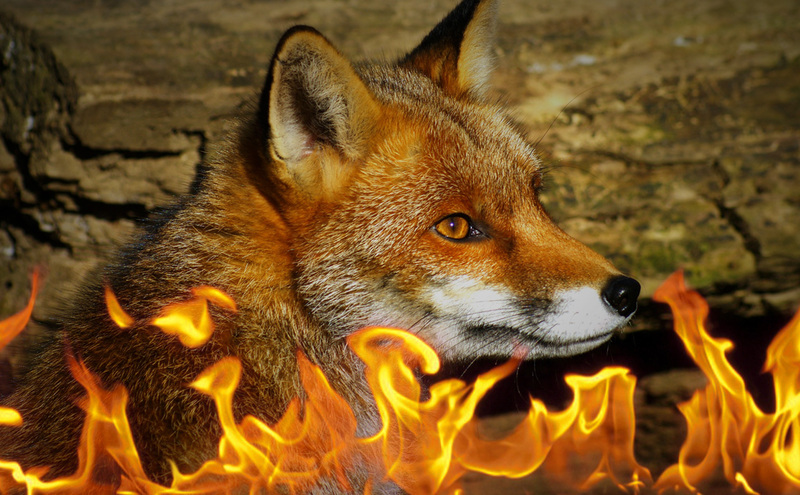 We examined the influence of fire on the occurrence of an introduced and widespread mesopredator, the red fox (Vulpes vulpes), in semi-arid Australia. We used two extensive and complimentary datasets collected at two spatial scales. We examined the influence of fire on the distribution of introduced red foxes in semi-arid Australia. Image credit Area51Bel [CC-BY-SA 3.0] via Wikimedia Commons. At the landscape-scale, we surveyed red foxes using sand-plots within 28 study landscapes — which incorporated variation in the diversity and proportional extent of fire-age classes — located across a 104 000 km² study area. At the site-scale, we surveyed red foxes using camera traps at 108 sites stratified along a century-long post-fire chronosequence (0–105 years) within a 6630 km² study area. Red foxes were widespread both at the landscape and site-scale. Fire did not influence fox distribution at either spatial scale, nor did other environmental variables that we measured. Our results show that red foxes exploit a broad range of environmental conditions within semi-arid Australia. The presence of red foxes throughout much of the landscape is likely to have significant implications for native fauna, particularly in recently burnt habitats where reduced cover may increase prey species’ predation risk. This entry was posted in Publications, Research and tagged fire, fox, mesopredator on 8 October 2014 by Euan Ritchie.